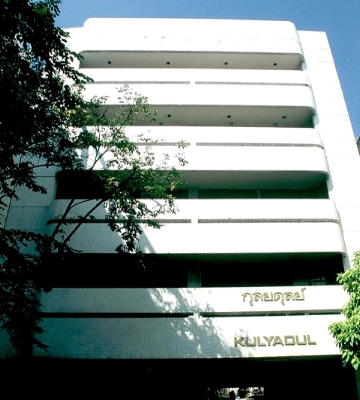 OFFICE PREMISE is located at KULYADUL BUILDING, on the area of 1200 sq.m in the heart of Bangkok. Separated workshop for welding elevator frame, counterweight, and bracket is nearby on the area of 640 sq.m. W. Kiert & Fuji Co., Ltd.
W. Kiert International Co., Ltd.
W. Kiert Charoen Trading Limited Part.